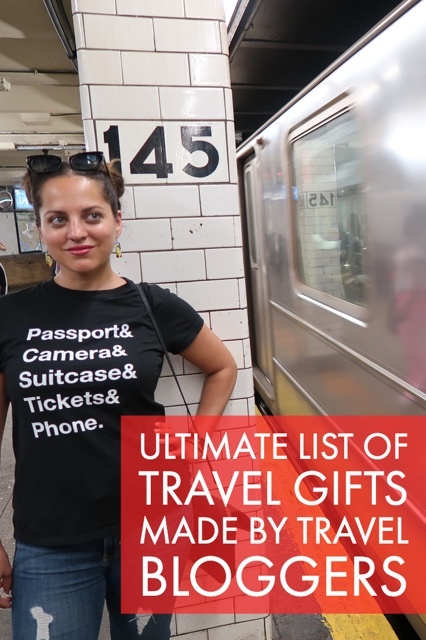 This years gift guide not only features great items for traveling and travel related items but specifically products made by travel bloggers themselves. Travel bloggers that I call my great friends as well. These products are made and loved by travel experts so they can really be trusted. I have been a long time fan of Speakeasy Scarfs made by the wonderful Bethany and Randy of Beers and Beans. Not only are these scarfs beautiful, comfortable and warm but they are also functional. The scarfs have a hidden pocket where you can hide your passport, phone, money and more. 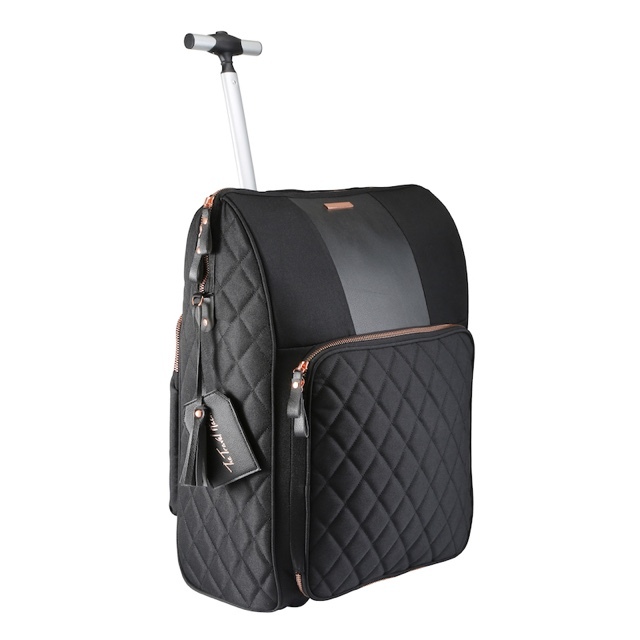 Perfect for keeping your important things safe as you travel while also keeping you looking fresh. Also if you are a fan of my friend Adventurous Kate she has her own line with Speakeasy that you should definitely check out HERE. Buy yours HERE. My good friend, travel blogger and popular long read author Jodi Ettenberg of Legal Nomads has created some deliciously tasteful maps. 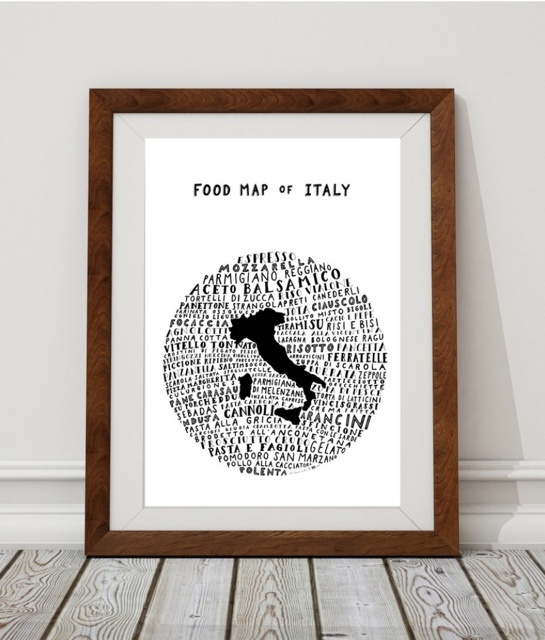 A lover of good food and all things travel she has created these unique maps that you can get as prints, Tees or totes! My favorite is definitely the Italy print, they make me hungry just looking at them! To buy yours HERE. Since 99% of the time I travel with carry-on luggage only, I am always looking for the best carry-on suitcase. 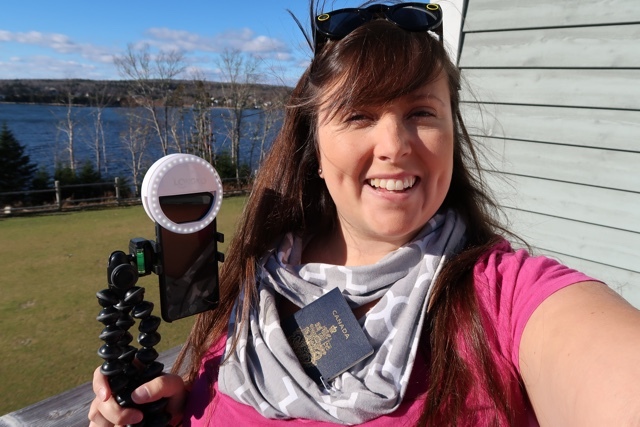 The lovely Monica from TheTravelHack has now come out with her own that I can’t wait to get my hands on. This suitcase has some of the best features. There is an easy access laptop compartment, a water bottle holder and the best part, the top compartment. A lot of airlines these days have strict rules about how many bags you can bring on board. With this suitcase you can easily store your purse, liquids or extra small bag into the top of the case for easy access. This is such a smart idea! In the US buy it on Amazon here. In the UK buy it on Amazon here. 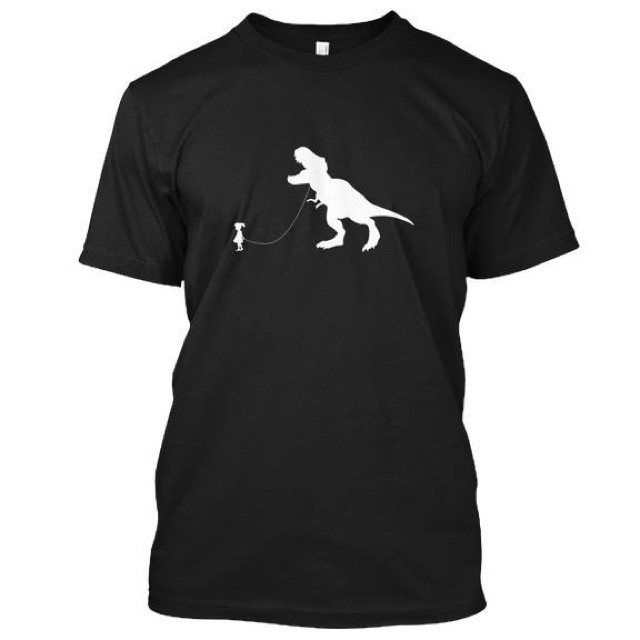 Norbert from GloboTreks has been designing some really fun t-shirts. Some are travel related and some are dinosaur related. I love both things, who doesn’t. There are a few other designs as well so be sure to check them out on Amazon under GloboTreks. They are currently available in the US (here), UK and German stores. When I started traveling I put my nose up at hostels and wasted a lot of money staying in hotels. I like many envisioned they were just full of dirty hippie backpackers who would steal your things. Then I actually stayed in one and quickly found out that I was mistaken. Hostels are basically the best thing ever, especially if you are traveling solo. Not only can they save you money, but you can also meet some of the best people while staying in hostels. Also all hostels aren’t just 14+ bed dorm rooms with no privacy, there are many these days that offer so much better. From private rooms with shared bathrooms or ensuites or even your own tiny apartment. There are endless options and wonderful hip, luxury like places to stay. But how do you find these beautiful hostels? You need to buy my good friend Kash’s book. 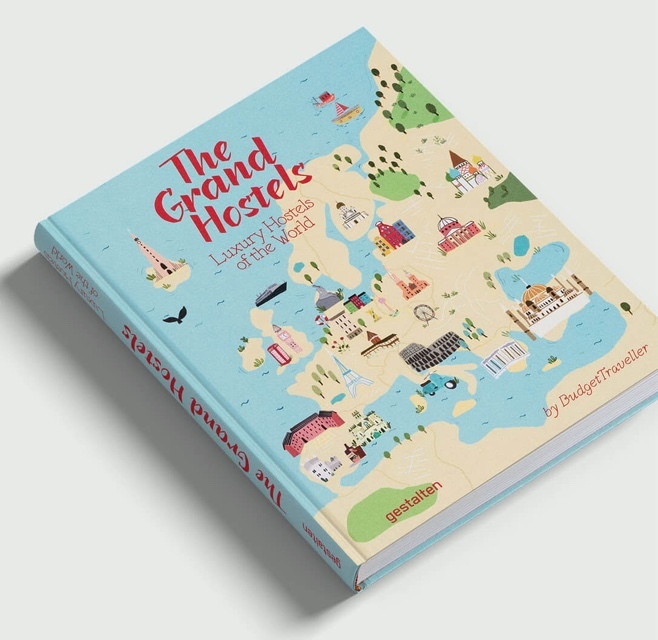 “The Grand Hostels: Luxury Hostels of the World“. Kash’s book highlights 116 of the best luxury hostels in the world and can really elevate your travels. To buy a copy and learn more click here. One of the first travel bloggers that I ever met in person over nine years ago was Nomadic Matt. As one of the first and now one of the biggest travel bloggers in the world he has begun a foundation to give the gift of travel to others. Called Flyte, Matt teams up with various underserved schools and raises money to help send kinds on trips around the world. The trips focus on not only learning about new destinations and their cultures but also volunteering and allowing the students to share their time and talents to help local organizations. To learn more about this great program and to donate click here. My friend’s Mike and Anne of HoneyTrek have been on their Honeymoon now for over 2,500 days. Hardly leaving each others sides they have been all over the world together and know everything there is to know about couples travel. 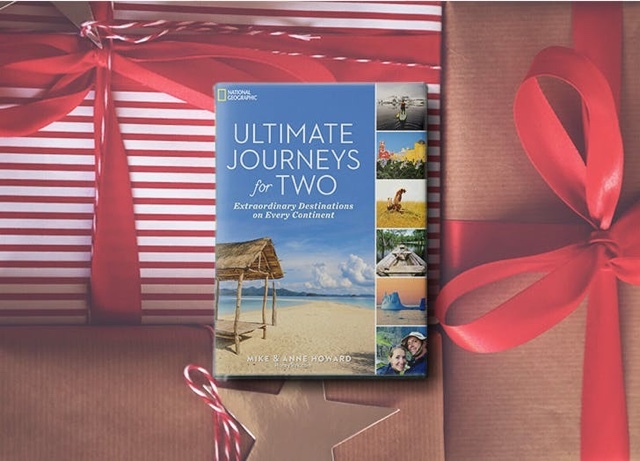 Check out their book with National Geographic – Ultimate Journey’s for Two to plan your next trip with the one you love. Even if you’re flying solo this year it is sure to inspire your next trip. To learn more and buy your copy click here. If you want to up your travel photography game then you should look into Laurence Norah’s of Finding the Universe “How to Become a Travel Photographer” course. As part of the Superstar Blogging courses this course will teach you everything from how to master your camera settings, to learning about composition, how to edit, the best apps to use and more. 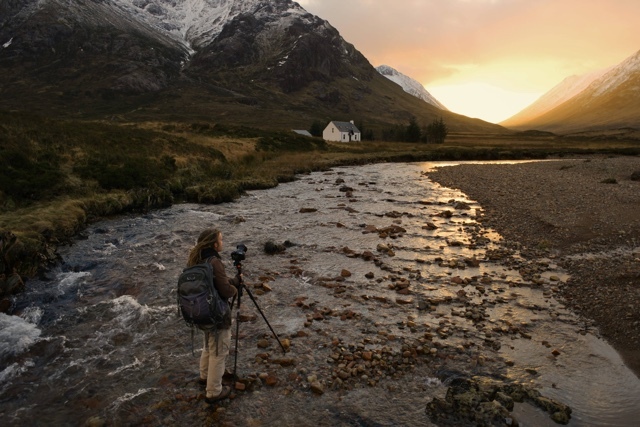 The course also features trade secrets from some of the best travel photographers in the world. 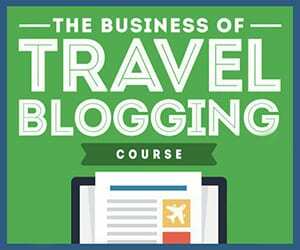 To learn more about the blogging courses and to sign up now, click here. Last but not least my very own travel themed merch in collaboration with my good friend Adventurous Kate. If you love all things travel then you need to have a favorite travel shirt! 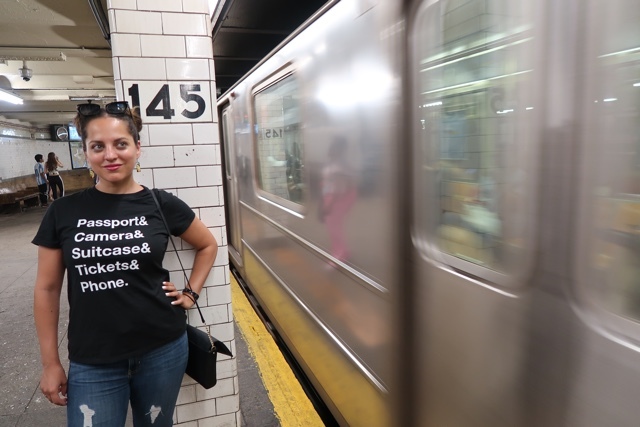 These novelty travel themed shirts feature the essential items you must have when traveling, the different types of travelers that exist, the best kinds of bubbly from around the world, how jet lag makes us all feel and more. We designed these shirts to be lighthearted and fun and think you will love them. We are selling these through Amazon and they currently ship to the US, UK and Germany. To buy them in the US click here, UK here and Germany here. Or search for “Adventurous Merch’ in your Amazon shop today. Hopefully some of the items on this list has inspired gifts for the holidays for yourself or someone you love. If there are others that you recommend please share them in the comments below. Happy Holidays!